You are here: Home / Blog / Alzheimer's Disease / Preventing Alzheimer's / Can Turmeric Cure Alzheimer’s Disease? Can Turmeric Cure Alzheimer’s Disease? Probably not, but it just might help prevent it. Turmeric has been used as a spice and a medicine for millennia. It is one of the main ingredients in Indian curry, and is a major component in the traditional Chinese and Indian medicine systems. Turmeric has been called a super food and a super spice. The health and medical benefits attributed to it include pain reliever, anti-inflammatory, antioxidant, and cancer-preventative. It can also lower cholesterol and protect the cardiovascular system. Here is an excellent article that summarizes the known health benefits of turmeric. One of the best things about using turmeric for its health benefits is that the most notable side-effects might be the slightly bitter but not unpleasant after-taste and the beautiful yellow-orange stain that can be challenging if allowed to soak in. (See below for some other possible side effects.) It has even proven to be as effective as some drugs against inflammation and pain. But can turmeric cure Alzheimer’s disease? Let’s look at some evidence. India is recognized to have a lower than average incidence of Alzheimer’s disease. It is too early to know the reason for this. It may be too early to know for sure if the statistic is accurate. We do know that people in that country consume more turmeric than people in the rest of the world. This led some researchers to investigate a possible connection between brain health and turmeric. Turmeric is but one of many natural compounds and foods that just might provide some therapy for and protection against neurological disorders including dementia. Turmeric is native to south east India, and is a member of the ginger family. In fact the root looks very much like ginger root. 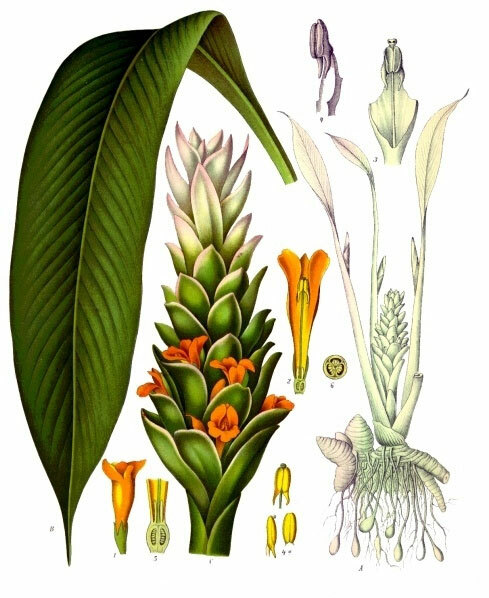 It is the root of the turmeric plant that is used as a spice and medicine, either fresh or dried and ground into a powder. Curcuminoids are the chemical components in turmeric that give it its characteristic yellow color. It is these compounds, especially curcumin, that are getting the attention of the scientific community. Naturally ocurring curcumin, as it happens, is a fairly powerful anti-inflammatory agent, rivaling even some of the more commonly used pharmaceuticals. There is a decades long debate about the role of inflammation in Alzheimer’s disease. The proteins known as plaques and tangles are the hallmarks of the disease, but recent evidence supports earlier suspicions that an inflammatory response in the brain may be partly responsible for Alzheimer’s. 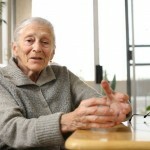 Read more about Alzheimer’s as an autoimmune disease. You may have read recently about a possible connection between Alzheimer’s disease and rheumatoid arthritis. A paper presented at the 2014 Alzheimer’s Association International Conference suggests that the drug etanercept might halt the progression of Alzheimer’s disease. Etanercept is an anti-inflammatory drug often prescribed in cases of arthritis. Clive Holmes of the University of Southampton, UK, presented the results of the study which tested 15 people with mild to moderate Alzheimer’s against a control group that received a placebo (saltwater). But Holmes’s team found that the participants taking etanercept performed comparatively better on memory, behavior and well-being when compared to the control group. There was no statistically significant difference in their performance on other tests of cognition. Researches warn against getting too excited before larger trials have been conducted, but the results, if not promising, are at least encouraging. Further, a group of researchers led by Dr. Richard Chou, MD, PhD, reviewed a medical database and identified more than forty-two thousand people with Rheumatoid arthritis. From this group they pulled 165 people with newly diagnosed Alzheimer’s disease and compared those to a control group. They found that people who were given a medication like etanercept were significantly less likely to develop Alzheimer’s disease. So How Can turmeric cure Alzheimer’s? The anti-inflammatory properties of turmeric is part of the reason it gained such a high standing in traditional Eastern systems of medicine. Since etanercept is an anti-inflammatory, it is not an entirely capricious leap of faith to suppose that anti-inflammatory substances in the spice turmeric should act in ways similar to the pharmaceutical etanercept. In fact, there is mounting clinical evidence that turmeric might protect the brain from the onset as well as the progression of Alzheimer’s disease. Evidence for the positive effects of curcumin on the brain go back more than a decade — centuries, if one includes the wisdom of traditional systems of medicine like Ayurveda. More recent investigations are looking at the contribution another of turmeric’s essential components might have on brain health. A study published in the journal of Stem Cell Research & Therapy, Sept. 2014, reported that Aromatic (ar-) turmerone might actually regenerate neural stem cells. In other words, turmeric may eventually prove not only to protect us against the onslaught of neurodegenerative disorders like Alzheimer’s, but actually reverse damage done by those diseases by actually regrowing brain cells. Curcumin is available in a pill, but a small amount of turmeric powder is all that is required to show the benefits we have reviewed here. Turmeric spice is reasonably priced and available in any grocery store. Many stores even carry an organic brand. Furthermore, fresh turmeric root is becoming increasingly available. There is evidence that it is the combination of compounds available in turmeric that make it so effective against neurological damage. That combination of coumpounds might not be available in pill form. The short YouTube video below recaps on of the studies referenced here, and emphasizes the point that the whole form of the spice may be more beneficial than anything that is extracted or synthesized. The above video is based on the research of Nozomi Hishikawa, Yoriko Takahashi, Yoshinobu Amakusa and others. The study is reported in Effects of turmeric on Alzheimer’s disease with behavioral and psychological symptoms of dementia, published in AYU, an International Quarterly Journal of Research in Ayurveda. Perhaps the most exciting research to date is published in the January 2015 issue of the Journal of Alzheimer’s Disease. Using an aerosol and a synthesized version of curcumin, a research team lead by Wellington Pham report that the benefits of curcumin are much more available to the brain when inhaled. Getting drugs into the brain has proven to be one of the problems in a search for an effective treatment for dementia. There is a blood-brain barrier that filters potential toxins in the blood before they enter the brain. “One of the difficulties in the treatment of Alzheimer’s disease is how to deliver drugs across the blood brain barrier,” he said. “Our body has designed this barrier to protect the brain from any toxic molecules that can cross into the brain and harm neurons. But it is also a natural barrier for molecules designed for disease-modifying therapy,” Pham said. The aerosol delivery has increased the natural ability of curcumin to enter the brain, bind with and destroy beta-amyloid plaques that are responsible for neurological damage associated with Alzheimer’s disease. The question remains: “Can turmeric cure Alzheimer’s?” The answer is still, “We don’t know.” But there is growing evidence that it may eventually lead to a viable and effective treatment for Alzheimer’s disease as well as other neurodegenerative disorders. In fact, it may be these natural substances (spices, foods, etc.) that hold the most promise for a cure to Alzheimer’s disease. 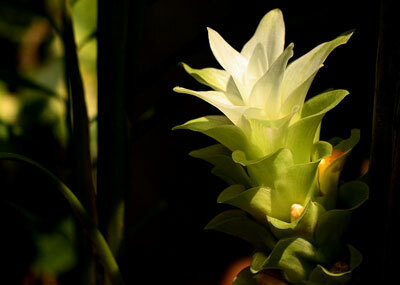 The flower of the turmeric plant. Turmeric is a plant with medicinal applications. It contains some pretty potent chemical compounds, but it has been used as a flavoring in food for centuries. There are some potential risks when using turmeric, just as there are for many spices, like cinnamon, nutmeg, and ginger. These side effects are uncommon, and generally much less severe than reactions to drugs and medicine, but one should still take care when adding new elements to the diet. Turmeric can make gallbladder problems worse. Taking turmeric might slow blood clotting. This might increase the risk of bruising and bleeding in people with bleeding disorders. Curcumin, a compound in turmeric, might decrease blood sugar in people with diabetes. Use with caution in people with diabetes. Turmeric can cause stomach upset in some people. Turmeric might act like estrogen. If you have any condition that might be made worse by exposure to estrogen, like breast, uterine or ovarian cancer, or endometriosis, don’t use turmeric. Taking high amounts of turmeric might prevent the absorption of iron. † Thanks to WebMD for this information on possible side effects. Turmeric is used extensively in Eastern cuisine and medicine, but is not all that common in Western cultures. One of my favorite ways of ensuring I get my turmeric is this Turmeric Smoothie. It combines turmeric with a few other ingredients that are getting some attention as possible protection against dementia. It might be an acquired taste, but I like it and make one for myself regularly. Give it a try. With those ingredients your overall health will benefit even if the claims that turmeric is an Alzheimer’s cure never completely pan out. The compounds in turmeric are fat soluble; the benefit of the spice becomes more available when eaten with an oil or fat. I recommend coconut oil for the added health benefits of this potent source of medium chain triglycerides (MCTs). There is evidence that coconut oil may be another natural defense against neurological disorders including Alzheimer’s. The cinnamon and ginger add flavor, and are also natural anti inflammatory agents. The honey or maple syrup can help cut the slight bitter taste that is sometimes associated with turmeric, but I usually eliminate the salt. This is a good base recipe. Let your imagination and your taste buds run wild and create your own variations. See a list of other anti inflammatory foods that you might add to this smoothie for even more potency. This article is provided for general information only, without taking into account any person’s condition, situation or needs. It is not intended as a substitute for professional medical advice, diagnosis, treatment or other advice. Do you use turmeric on a regular basis? Share your favorite recipes that include turmeric. Smoothies? Curry? Tea? Or are using it to promote brain health? We’d love to hear what you’ve learned. Anti-TNF Therapies for rheumatoid arthritis could reduce Alzheimer’s risk (Press Release); Dr. Richard Chou, MD, PhD; The journal of the American College of Rheumatology. Aromatic-turmerone induces neural stem cell proliferation in vitro and in vivo; Joerg Hucklenbroich, et. al. ; Stem Cell Research & Therapy 2014, 5:100. 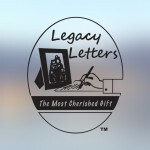 Capture and Preserve the Memories of a Loved One with Early Alzheimer’s Honesty and Alzheimer’s: Is a lie always a lie?